At the end of the 19th century Danish artists were among the first in the Western world to engage with Japanese art and adopt elements of it in their work, creating an independent Danish form of expression. And that tradition has been maintained ever since. 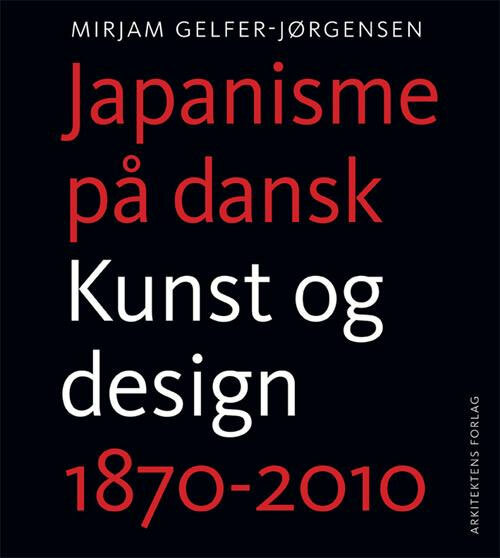 Mirjam Gelfer-Jørgensen’s book about Japanese influences in Danish art, design and architecture analyses and traces this development over nearly one and a half centuries, from 1870 to 2010. Inspiration from Japanese art became a catalyst with wide-ranging and lasting effects. The impact of Japonisme was so extensive that it became an essential element in the preconditions for Danish Modernism in the 20th century and for the status as a ”Design Nation” that Denmark can be proud of right up to the present day. Who knew, for example, that Danish national treasures such as the Seagull service and Bindesbøll’s ceramics sprang in part from Japanese inspiration? The book’s 450 illustrations provide a splendid basis for a thoroughly documented account of how this style development took place: At first it was the motifs, the subjects, that were fascinating. Later on it was the treatment of materials and the artistic processes that enticed Danish artists, craftsmen and designers to travel to Japan, often for lengthy periods of study. The book is based on a research project which centred on the question: why is it that Danish architecture and applied art have drawn lessons and inspiration from the art of a country that lies on the other side of the globe, with a social context which in many ways is fundamentally different from that of Denmark? The artist sets himself above his own culture, his religion, his language and his location and sees himself in a completely different world. In that sense Mirjam Gelfer-Jørgensen’s book is also a cosmopolitan narrative about how art belongs to us all and how the cultural heritage accumulates material without regard to national boundaries. At the same time it is a detailed investigation of conditions determining production, of the qualities of materials, of concepts of value and of artistic motives. Japanese and Danish art, design and architecture are woven together in pictures and words, with a graphic design by Carl H-K. Zakrisson and with new photographs of objects from Design Museum Danmark’s major collections of Danish and Japanese art. The photographs have been taken by Pernille Klemp and many are published for the first time in this book. The illustrations also include a large number of photographs of new Danish and Japanese art, design and architecture, as well as drawings and paintings from both countries from 1870 until the present.